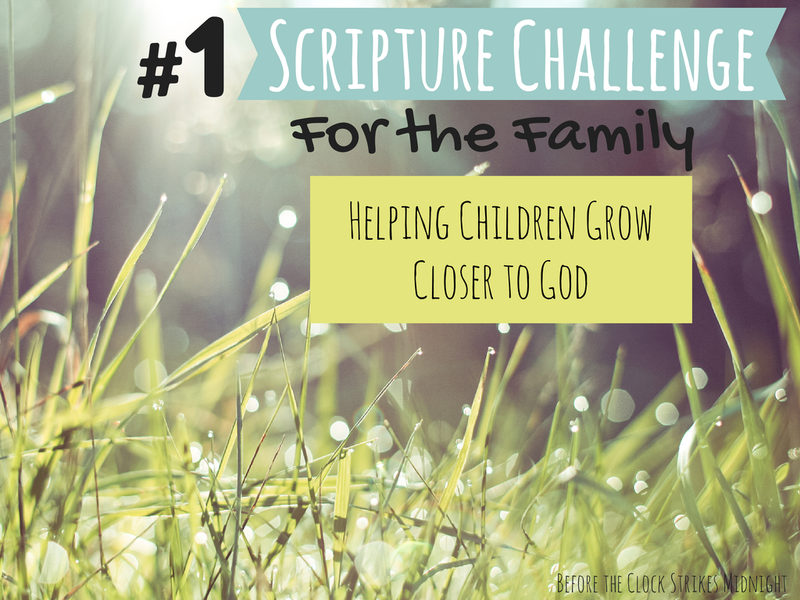 Have you ever wondered how to involve your entire family in scripture study? Between breakfast, school, work, tennis, chores, lunch, taking care of the baby, groceries and making dinner I constantly find myself wondering "when is there supposed to be time for scripture study?!" To those of you who have a set time and stick to the scripture study schedule everyday ...hats off to you! I hope to have that habit established with my family soon. As you can probably tell scripture study improvement has been on my mind lately. Why? When I read the scriptures my heart is engulfed with the love of Christ. Every verse serves as a reminder that I am a daughter of God. During my personal scripture study this past week I had a glimpse back to my childhood. My Mother loved writing our "weekly" scripture on a piece of paper then taping the verse to the wall. Every morning/evening my mother diligently had all of my siblings and myself recite the "weekly" scripture. After she would ask follow up questions about what the verse meant to each child. Now don't get me wrong my family was not perfect. On a couple of occasions I and my siblings would resist the family scripture time. Now looking back I feel terrible. Oh gollie bum. However, as I grew into the teen years my Mother's constant love of God helped me want to grow closer to God. My Mother and Father were teaching me a valuable lesson: studying and memorizing the scriptures brings us closer to Christ. In moments of fear, sadness and anxiety there is no need to fear because of memorized scriptures. Every two weeks I will create a scripture memorization challenge printable. 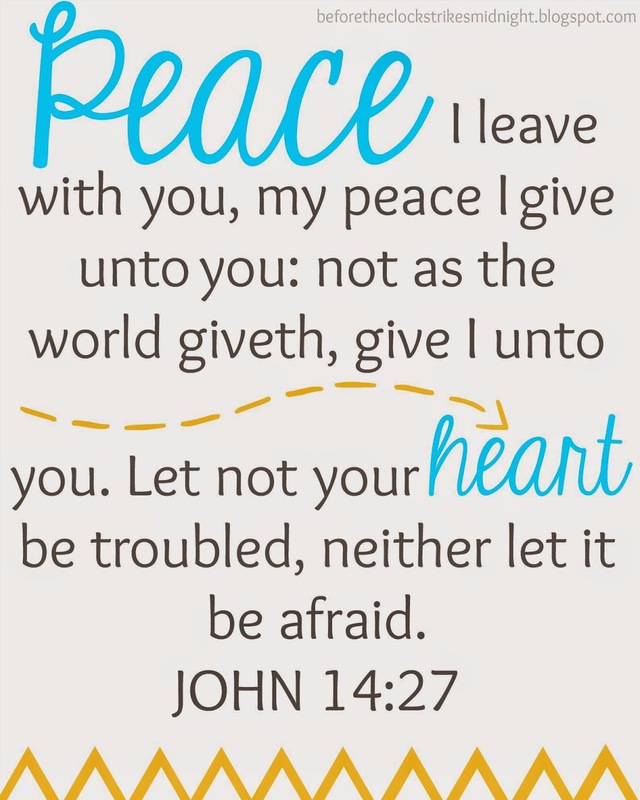 This week is my FAVORITE verse: John 14:27. Here is where to print the scripture memorization printable. Hang this up in a common area, and talk with your children about the verse and work on memorizing. With your children decide on goals for scripture memorization and rewards. Some families do ice cream, family game nights, movies etc... My family used the sticker method, but that was 20+ years ago. Eeek. I'm starting to feel old. Here is where this link has been shared! I think this is a great idea, Tiffany! We struggled to do scripture study as a family as I grew up. My parents were way more diligent with my older siblings than with me and my younger brother. Pinning! What a cute printable, and a great idea. This is always a challenge for me, but I love what you said about your mother's love for Christ making you want to love Him too. That gives me hope, and is my prayer for my family too. Thanks for sharing (found you on Say G'day Saturday). No you are not alone! Scripture study can be challenging, especially with kids, but working on reciting verses at family dinner/breakfast helps a lot! Best Wishes! I love this idea Tiffany!! I need to be much more intentional with our scripture reading together as a family and in general with my kids. Thank you for sharing this!! !